Would you like to know how to succeed? Would you like to know the factors that make for success in almost any business or profession? If you want to get ahead in business, if you want to increase your income, if you want people to like you, learn the skills discussed in the interviews Dale Carnegie has with ordinary and extraordinary people. Dale Carnegie has the uncanny ability to awaken in people their hidden talents that may never have been discovered. 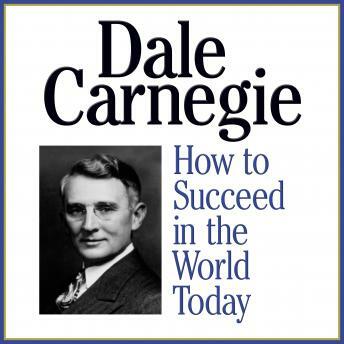 Dale Carnegie shows in his teachings how to get ahead in the world today. This audiobook may reveal to you a magic key to happiness and success, which Dale Carnegie has brought to millions of people.